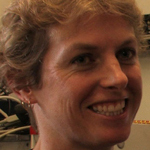 Niki graduated as a marine biologist from Otago University and has been working for NIWA for 14 years. She works on a wide variety of topics both in the office and in the field ranging from sea cucumber systematics and ecology to reef ecology to oceanography to biosecurity. She is part of both the NIWA dive and sea-going teams. Niki is a regular sea-going team member and while at sea has many varied roles including operating a range of equipment including the CTD, Multicorer, ADCP, DTIS (Deep towed imaging system), plankton nets and also any general biology gear.